Do you actually perform DRC on Gerbers? 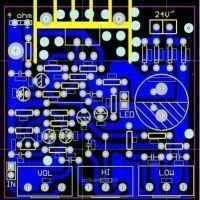 Do you do it for the PCB and trust that the generated Gerbers will be OK? You can't just do a DRC on the Gerbers alone. Your PCB design may have several design rules which the Gerbers don't have information about, like clearance between nets or trace width for high current nets. I always run the "DRC" in my PCB software before generating Gerbers. The netlist information that is helpful for finding the kinds of common errors that DRC is supposed to catch is simply unavailable in any of the Gerber files. I don't run any sort of check on the Gerbers, other than printing out the Gerbers at 1:1 and briefly glancing at it while dropping a few physical components on it. Review your gerbers after you confirm your design in CAD. Use a free gerber viewer to grab pictures to include with the order so the board shop knows what you saw.